"I have been lucky to have a great doctor great empathy for his patients." "Dr. Byington is amazing. He goes above and beyond to ensure you have a full understanding of your condition and his treatment plan. Dr. Byington truly cares about his patients. 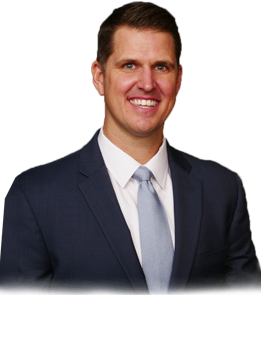 I will definitely recommend Dr. Byington to anyone who needs orthopedic treatment." "Dr. Byington and staff are phenomenal! I fell into his office by luck. I broke my shoulder and my former orthopedic had recently retired. I scheduled with Dr. Byington and would never look back. He treated me with compassion, choices for treatment, and always put options out for discussion that were suited for my best interests! I just completed a total knee replacement yesterday, and am on top of the world. My severe bone on bone, arthritic knee is truly feeling great today. Outstanding doctor!" 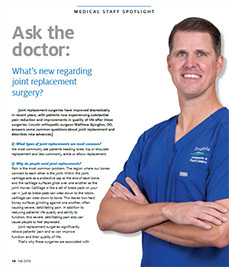 "Dr. B has worked on me and my wife for our knees and shoulder. Could not be happier with a doctor than we are with Dr. B"
"Dr. Byington is the best. He did my partial knee replacement and I have never felt better. Thank you!!" "Dr. Byington is the most caring Dr. I have been treated by in many years. I would recommend him as a surgeon." "Dr. Byington and his team are very attentive to your needs and allow plenty of time to answer questions. I had two prior knee surgeries before seeing Dr. Byington and was in a lot of pain. My third surgery has been the smoothest recovery so far. I can't say enough positive things about Dr. Byington and his awesome team!"